Early bed bug detection is the key to preventing infestations. 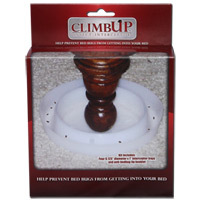 Bed bug detection systems and traps enable you to get rid of bed bugs early. 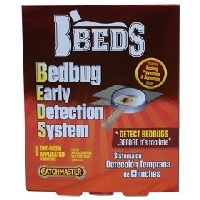 The Bedbug Early Detection System (BEDS) is a passive monitoring system that replicates a bed bug's favorite hiding place. Dots of patented, super-strong adhesive trap them instantly. Don't you want the peace of mind of knowing that you can kill and prevent bed bugs using organic pest control? Then Nature's Response™ Bed Bug Killer is for you. Protect your family on all levels by choosing organic pest control that is the most effective killer and preventer of bed bugs on the market. Nature's Response™ bed bug spray is the smart choice on all levels.